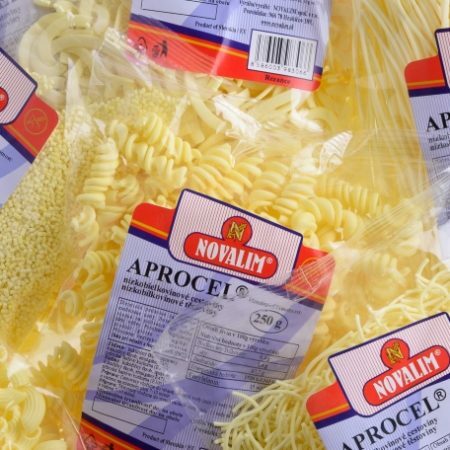 APROCEL ® is a registered trademark of low protein pasta. 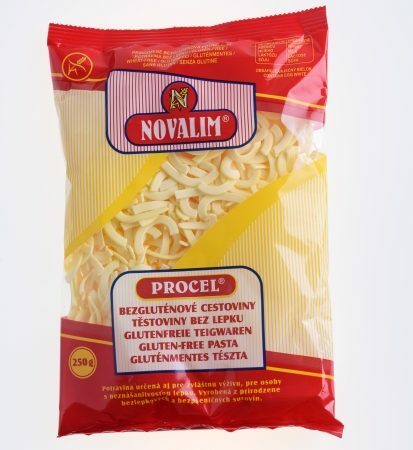 Protein content is of maximum 0.5 g/100 g, phenylalanine max. 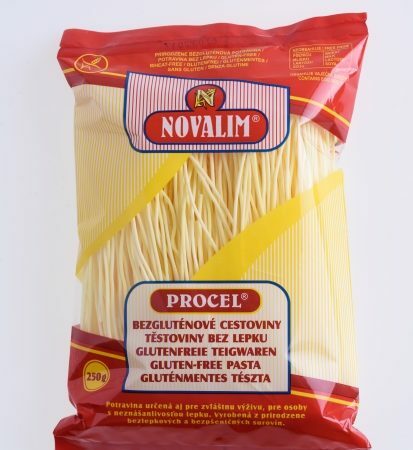 20 mg/100 g. This low protein pasta is produced in a wide range. 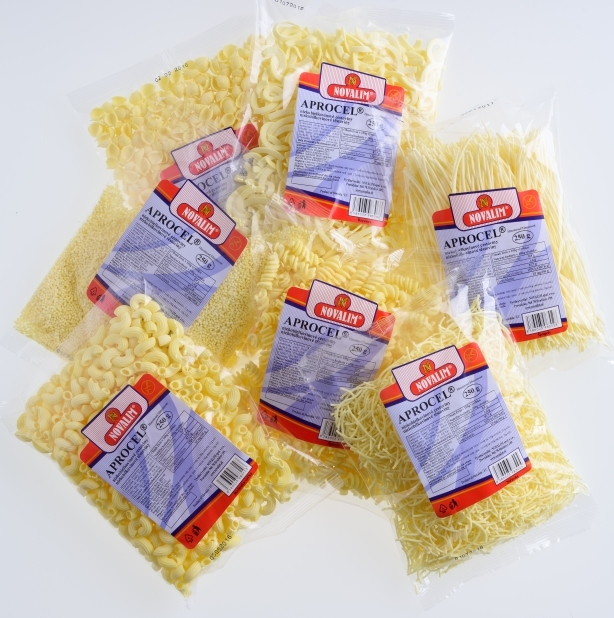 vermicelli, alphabet noodles, mussels, node large and small, large and small patches, tarhonya, spirals, spaghetti. 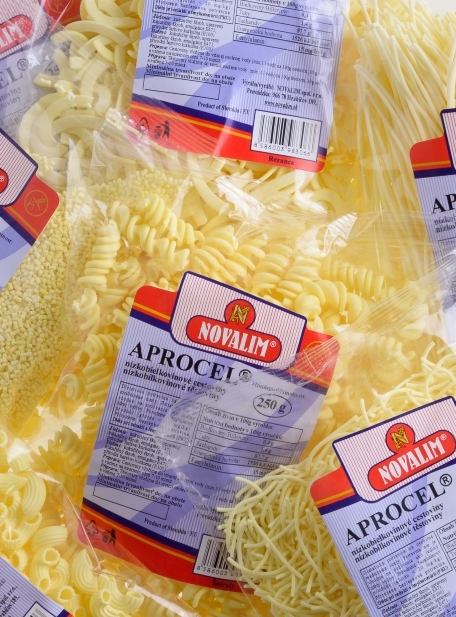 All pastas have 12-month shelf life. 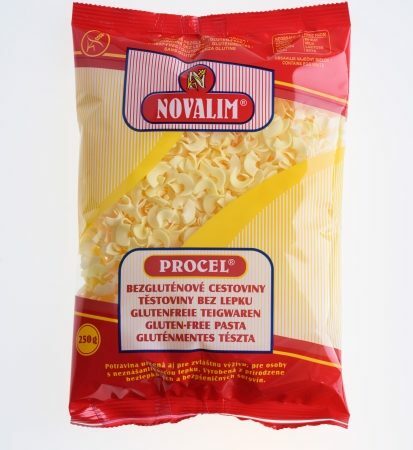 Ingredients: maize starch, emulsifier: E471, E100; natural colouring agent turmeric.